Since my daughter was born I’ve not done much running, cycling or anything really. For the most part I’ve just been too tired to care about exercise or when I get home from work I’d rather help with Chloe than go out for an hour, missing what little time I have with her. However I can see my waistline slowly getting squidgy and my jeans are getting tighter again so needs must. Besides that I’m also committed to doing Ride The North – a 170 mile bike ride from Inverness to Stonehaven over two days in August so I have to get fit again! Today I made the most of the fine spring weather and went for a wee run up to Dunnottar Castle. I’ve run up to the war memorial a couple of times but not gone the full distance to the castle yet. Well I couldn’t have picked a better night for it. The weather was stunning and the castle, the bay and Stonehaven all looked beautiful in the setting sun (see the photo at the top of this page for proof). It was pretty tiring though. I can tell I’ve not done much running since last year! The path from the memorial to the castle was a lot hillier than it looks but that’s a good thing, even if it doesn’t feel like it at the time. I think I’ll be using this route a lot over the summer. With the fine weather at the weekend it finally feels like spring has arrived in Stonehaven. 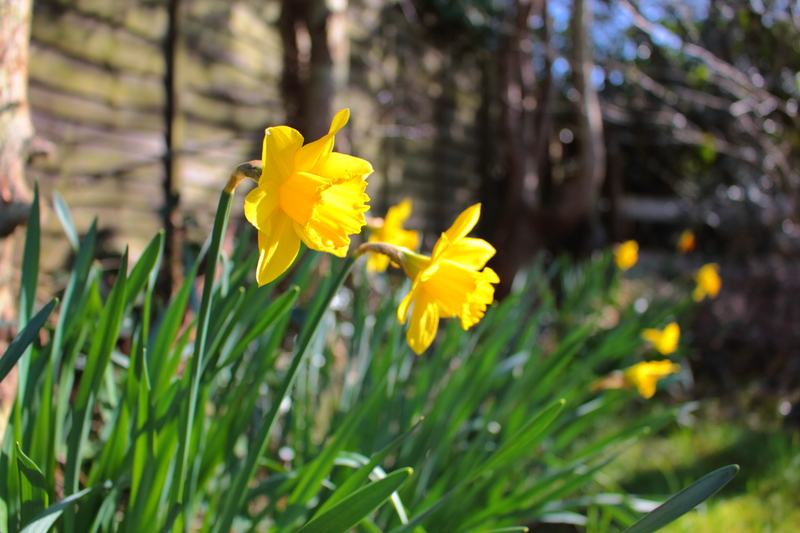 I recently upgraded my camera to a DSLR, so when the sun came out yesterday I spent some time wandering round the garden to get some pictures of spring. This daffodil shot is the best of the bunch. There’s a lot of things about spring which are pretty awesome. One of them is the arrival of lots of spiky green spears in the supermarkets. British asparagus has a fine reputation which is greatly deserved but unfortunately the season is only two months long. It just means we need to make the most of it when it’s here!